Money has always been an uncomfortable topic to talk about, especially when trying to negotiate your salary. When is the right time? How do I go about approaching it? What if I get turned down? These are all important questions that linger in the back of our minds when thinking about this issue. Although the negotiating process can be awkward, it presents the opportunity to clearly define and communicate to the employer what you want out of the job. Below are some important tips to keep in mind when negotiating your salary during a job interview. Before going into your final interview, it is recommended that you do some research beforehand with the hope that they will make you an offer. You want to learn as much as you can about the company’s pay scale. Look over the job description that was posted for the position so you know the salary range and research the salary for the position at other companies by talking to individuals in your field. You should know what the market value for this job is in your area. This will give you a better idea of what you should be expecting before going into the interview. After doing your research, it is a good idea to sit down and think about the lowest possible salary that you are willing to accept. This allows you to be more prepared when the employer is making an offer to determine if it is enough money for you to live off of. It is also a good idea to make sure you remember your prior salaries; this is especially important when making a counteroffer. It does not matter if you are in your first interview or your third, it is always important to remain professional. It is essential that you do not bring up salary requirements right away; you want to wait for the interviewer to approach the topic. This shows that you are more interested in the actual position and not just focused on the money aspect. When asked about the salary, simply provide a range, not a specific amount. There is an old rule in negotiating, "The first person to mention a specific number loses." 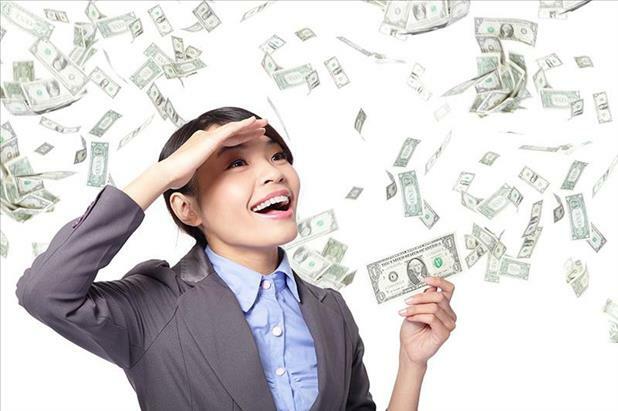 You are more likely to get a higher offer if you provide a salary range. Project confidence throughout the salary negotiation, try to remain calm and keep an even tone of voice regardless of how the conversation is going. If the employer makes you an offer and you think it is too low, do not hesitate to make a counteroffer if you truly think you deserve it. Talk with the interviewer about your "bargaining points" – your unique accomplishments, achievements, and experience that make a higher salary more appropriate. Keep in mind that you must be reasonable and flexible when negotiating salary. Find an in-between that you and your employer will be happy with. If the amount that they offer is close to your last professional salary, but not as high as you would like, you can say: "That is about what I was making at my last job, and I had hoped that with this career move, I would be doing better." Note: You don’t need to cite any "bargaining points" in this first round if the offer is similar to your last salary. Another way to respond would be: "I’m sure you’ll agree that with my (1st set of bargaining points), I will need minimal training and be functioning at a very high level quickly, so I was hoping for a higher offer that would reflect that." (Don’t Mention a specific Salary). If the interviewer comes back to you with a higher offer, but one that doesn’t quite match your expectations, you can take the next step: "Thank you for this offer and your flexibility. We are both almost ‘on the same page’ now. I think you would agree that with the (2nd set of bargaining points) I bring, that I will be able to provide expertise that will benefit other staff in the department. I was hoping the offer would reflect this." 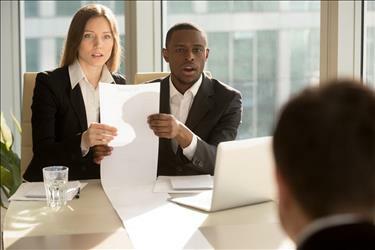 If the request comes during an interview, but before an actual job offer, you don’t want to get "boxed in" and want to avoid stating a specific number: "I am flexible in regards to salary and would expect a salary that is commensurate with my qualifications and the position responsibilities." Another tactic in salary negotiations is to "sleep on it." Tell the hiring manager that you would like some time to consider their offer and discuss this opportunity with your significant other. Then go home and make a list of your "bargaining points." When you call the organization back, tell them that you have thought over the offer carefully, and you have an impressive list of reasons to accept the position, but one significant problem: "The only ‘con’ as far as I can see is the salary. I was hoping for a better offer, considering my background and expertise (or something similar)." Your initial salary is just the beginning. The more time you spend at the company and the more successful you become, the more your salary will increase. Your hard work and dedication will be rewarded over time.